Christopher's Dark Chocolate Sauce is made with our custom Valrhona 63% dark chocolate blend, cream, butter and sugar. The perfect way to add rich dark chocolate flavor to your favorite ice cream and desserts! Christopher Elbow loves ice cream. So much in fact, that he makes his own and creates delicious toppings to make epic sundaes. Our gourmet sauces go great over your favorite ice creams, in shakes, over desserts, or even straight out of the jar with a spoon... the possibilities are endless! For best results, microwave 5 seconds and stir. INGREDIENTS: Dark Chocolate (cocoa beans, sugar, cocoa butter, soy lecithin, vanilla beans), Sugar, Cream, Glucose Syrup, Water, Butter, Cocoa Powder, Sea Salt. REFRIGERATE AFTER OPENING, that is, if there's any left in the jar to refrigerate. 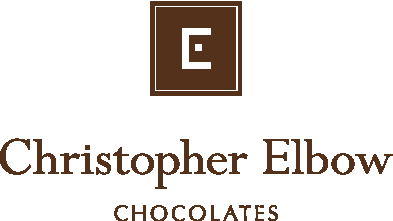 Subscribe to email updates to get the latest product releases, offers and news delivered straight from Christopher Elbow Chocolates.